Making movies. 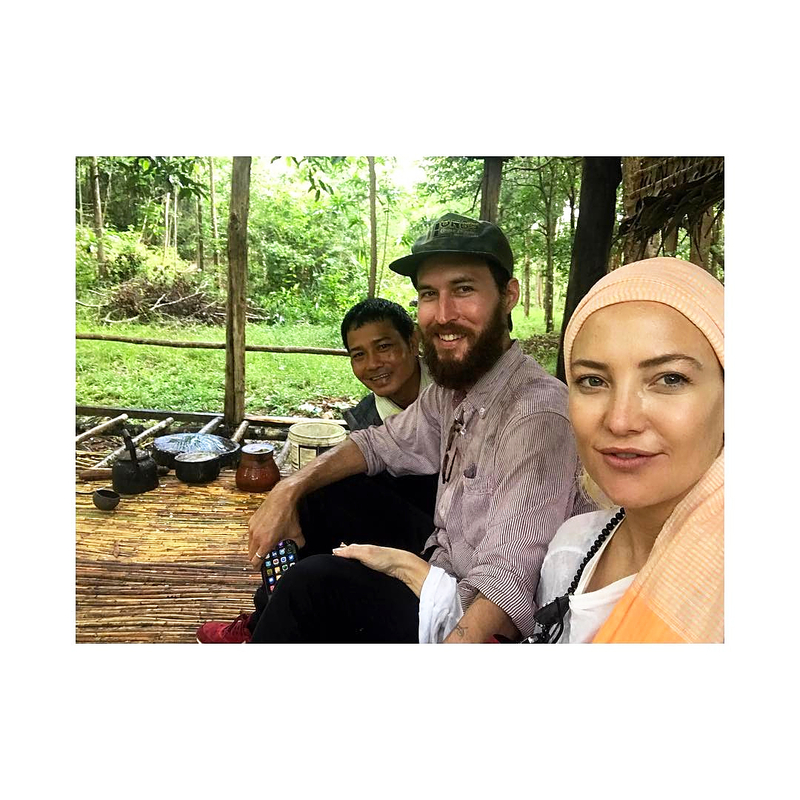 Kate Hudson is traveling in Cambodia with her boyfriend, Danny Fujikawa. The actress snapped a photo of the pair via Instagram on Wednesday, June 7. “Taking rest from the rain in the jungle with @swimswammyslippyslappy and Vy!” she captioned a pic with heart emojis. In a second snapshot, Hudson, 38, wore a World Food Programme vest. WFP is the largest humanitarian organization that helps to fight hunger and commits to helping families across the world. Hudson and the musician were first spotted kissing in L.A. in March. Two months later, they made their red carpet debut as a couple at the premiere of Snatched, which stars Hudson’s mom, Goldie Hawn. Looking forward to sharing this experience with you ❤ To be continued… @worldfoodprogramme_official #Cambodia ?? Walking through the local markets with our guide Vy! Vy has taken us on the most insightful adventures and has shared with us in depth the tumultuous history of this country. He speaks of his personal hardships and those of his people, he shares stories of his starvation in his youth and the on going struggles of extreme poverty here. He says that the great hope for him as a guide is to share with the world how beautiful and special it is here. And boy is it beautiful! The culture, the landscape and mostly the people! Feeling lucky to have Vy ? Vy we love you!! Fujikawa is the former frontman and guitarist of the L.A.-based band Chief. He and The Delta Mirror’s Chris Acosta launched Lightwave Records in 2013.